Kuala Lumpur is the capital city of Malaysia, apart from being a popular tourist spot. Check out some fun and interesting facts about the vibrant city of Kuala Lumpur. Kuala Lumpur is a city located in the southwest Malaysia Peninsula, at the confluence of Klang and Gombak rivers. It lies to the northwest of the country of Singapore. The city is defined within the borders of the Federal Territory of Kuala Lumpur and is one of three Federal Territories of Malaysia. From being a modest settlement in the earlier times, Kuala Lumpur has today turned into one of the most progressive metropolises of the world. 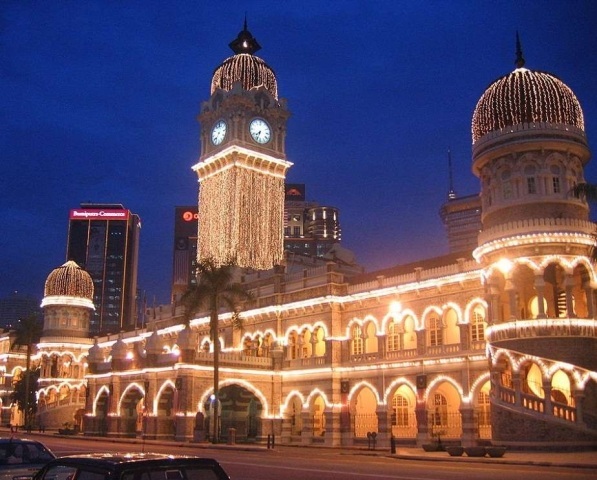 The city is home to a diverse mix of ethnicities such as Malay, Chinese and Indian. Along with being a business hub, it has developed into one of the most sought-after tourist destinations. In over 150 years, Kuala Lumpur has grown into a major economy and is one of the major trading centers in Malaysia and South East Asia. In case you want to know more about the city and explore it further, make use of the information provided in the following lines. Kuala Lumpur is the capital as well as the largest city of Malaysia. Chinese tin miners founded the city of Kuala Lumpur, in the year 1857. Kuala Lumpur is the seat of the Parliament of Malaysia, making it the legislative capital of the country. According to recent polls, the one place that tourists make a beeline for when they land in Kuala Lumpur is the Petronas, followed by the Istana Negara, abode of the Malaysian King. The official residence of the Malaysian King is in Kuala Lumpur itself. Kuala Lumpur is rated as a Gamma world city, apart from being the only global city in Malaysia. The KLIA service, which is a high-speed train service, started in Kuala Lumpur. It took 6 years to build the most iconic building in the city—the Petronas. Kuala Lumpur played host to the 1998 Commonwealth Games as well as the Formula One World Championship. Kuala Lumpur claims the distinction of being home to the tallest twin buildings in the world, the Petronas Twin Towers. Kuala Lumpur serves as the commercial and industrial hub of Malaysia. The Kuala Lumpur Tower is the fifth tallest telecommunication tower in the world. Kuala Lumpur Tower is also the fourth tallest tower in the world and tallest one in Southeast Asia. Kuala Lumpur achieved the status of a city in the year 1972. Kuala Lumpur was earlier under the rule of Selangor State Government. It was declared a Federal Territory in February 1974. The languages commonly spoken in the city are Tamil, Behasa Melayu, English, Malay, Chinese and Hindi. The architect who designed the Petronas was an Argentinian, Cesar Pelli. One of the twin towers (Petronas) was built by the Japanese (Hazama Corp.) and the other twin tower was built by the Koreans (Samsung). The tower built by Samsung group got the dimensions and the angling of the tower right. However, Hazama Corp. made a mistake and the end result was that the tower had a 25 mm tilt. The citizens of the United States, Canada, Arab countries, and Commonwealth European countries, do not need Visas to enter Kuala Lumpur for less than three months. The name Kuala Lumpur literally means “muddy confluence”. The city is called so, as it is situated at the confluence of Gombak River (earlier Lumpur River) and Klang River. Kuala Lumpur boasts of around 66 shopping malls and is retail and fashion hub of Malaysia. The major faiths in the city are Muslim, Buddhist, Taoist, Christianity, Hinduism and Sikhism, in no particular order.